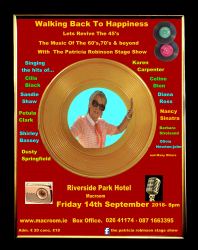 Riverside Park Hotel, Killarney Road, Macroom, Co.
�Walking back to happiness� the music of the 60�s, 70�s and beyond makes a welcome return visit to the Riverside Park Hotel after a terrific response from last year�s show. The show was extremely well received by all. 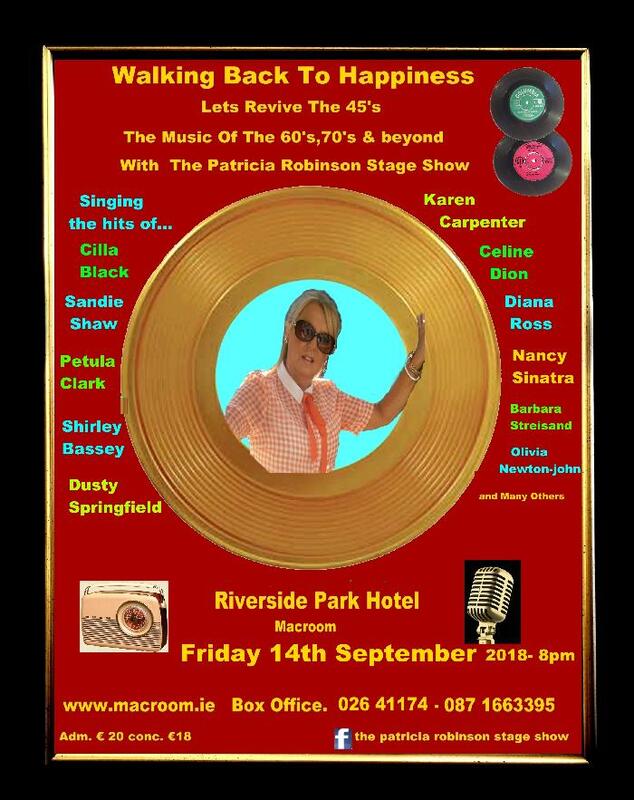 It�s a very fast paced hit show with the emphasise on great tunes from yesterday which will make you want to sing-along, clap your hands stomp your feet and really have a great enjoyable clean family entertainment full of nostalgia guaranteed to make you feel happy for a couple of hours. So why not come along with your friends as we go together walking back to happiness once more!